With the many technological advancements and global changes that have happened, some countries still manage to keep up and stay on top of the game. When talking about the richest countries in the world, the list still bares some of the same names that have comfortably sat there for the past number of years. The Gross Domestic Product (GDP) is the method of identifying the wealth of a specific country. A country’s GDP is the sum of the amount of all goods and services that exist within a country, so that means foreign income and investments are excluded. It’s usually measured annually and ‘per capita’ means per individual. The world bank has ranked Hongkong 5th on the list of easiest places in the world to do business. It is considered to be an important financial destination for many investors. Hongkong is also a famous Asian destination for tourists. Tourism contributed to 4.7 percent of the city’s GDP in 2016. They have their own currency, HK dollars, but they still depend on China for arms and defense services. UAE is a federation of 7 emirates and is one of the most economically secure states in the world. It controls 10 percent of the world’s oil reserves and has the 4th largest gas reserves of the world. Proceeds from oil sales are used to fund large infrastructure projects. UAE boasts of large petroleum as well as non-petroleum sectors. Tourism is also a huge source of revenue and some of the most luxurious hotels are based in the UAE. Kuwait is another petroleum-based economy. The country’s currency, Kuwait dinar, is the highest-valued in the world. One Kuwait dinar is equivalent to around 3 US dollars. 60 percent of Kuwait’s GDP and 90 percent of exports are derived from hydrocarbon products. Norway has rich natural resources such as oil and gas, fish, forests and minerals. Petroleum sector provides about 12 percent of Norway’s GDP. Despite being one of the world’s largest natural gas exporters, they have the highest gasoline prices in the world in order to keep people from using private transport and opt for public transport instead. Norway is one of the largest producer and the second largest exporter of seafood in the whole world, after China. Ireland is the fastest growing economy of the European Union. Ireland’s main economic resource is exports of agri-food products which include cattle, beef and dairy products. It contributes to about 5 percent of Irish GDP. Ireland is also the largest zinc producer in Europe and second largest producer of lead. Known as the home of Guinness, the world’s largest brewer of Stout, Ireland ranks 6th amongst the richest countries in the world. Ireland has become a base for many US multinationals and is now exporting computer and medical equipment, electrical machinery and chemical and pharmaceutical products. Brunei Darussalam is an energy-rich sultanate in Southeast Asia. Crude oil and natural gas production account for about 65 percent of the GDP and 95 percent exports. Brunei’s non-petroleum industries include agriculture, forestry, fishing, and banking. Singapore’s economy has been ranked the most open in the world. The nation’s wealth mostly comes from the export of electronics, chemicals, textiles, food and beverages etc. Due to its stable political climate and attractive investment policies, Singapore attracts a lot of FDI from global investors. Besides these, tourism is one of the most important economic pillars of Singapore, contributing to about 4 percent of its GDP. Banking is the largest sector of this European country which is surrounded by Belgium, France and Germany. Political stability and easy access to other European centers has contributed to the growth of the financial sector. 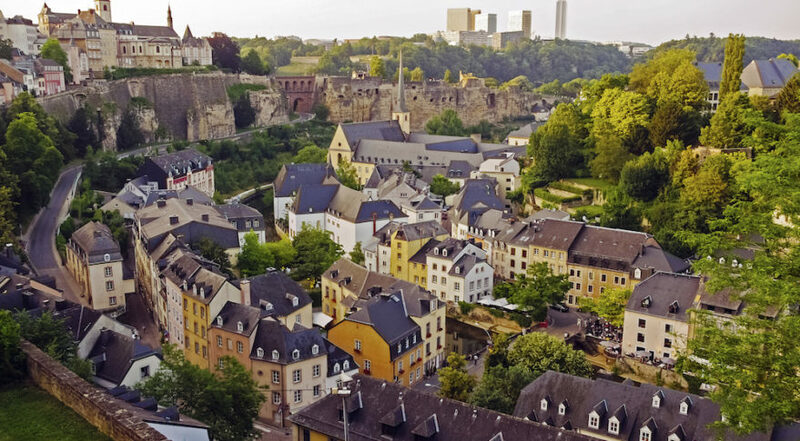 Besides banking, iron and steel industry is also an important part of Luxembourg’s economy. Tourism is another important component of the economy and represents about 6.5 percent of the GDP. Moving up a place from being 3rd last year, Macau is now the 2nd richest country in the world. Macau’s economy largely depends on apparel exports and gambling related tourism. Since it is the only country in the Chinese region where gambling is legal, there has been a rapid rise in the number of tourists and gamblers from mainland China travel to Macau which in turn greatly increases their GDP per capita. Based on GDP per capita, Qatar is the richest country in the world. Petroleum and natural gas are the main contributors to its economy, accounting for 70 percent of total government revenue. Qatar is the second largest exporter of natural gas in the world. Qatar has no taxes, but authorities plan to levy taxes on goods that harm the body- fast food, tobacco and soft drinks. Qatar will be the first Arab country to host the FIFA world cup in 2022.